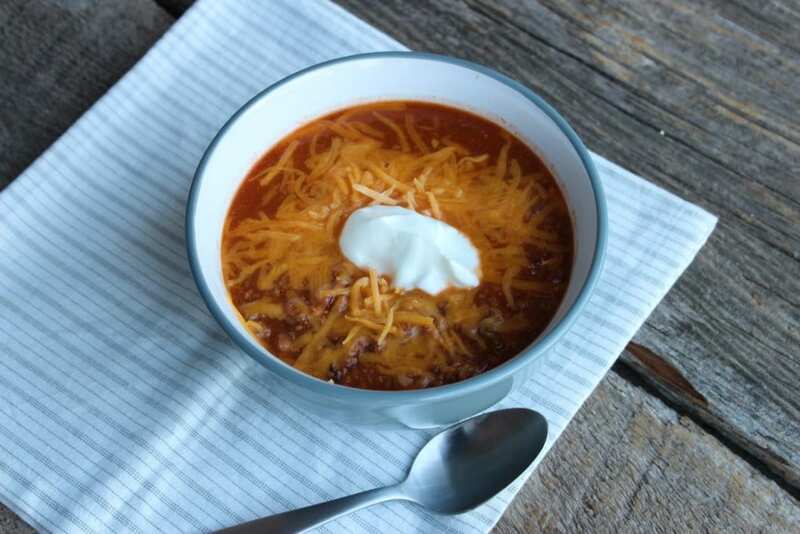 For all of you that got an Instant Pot for Christmas or who have an Instant Pot and you just don’t quite know what to make in it yet, this Instant Pot Santa Fe Chili is for you! 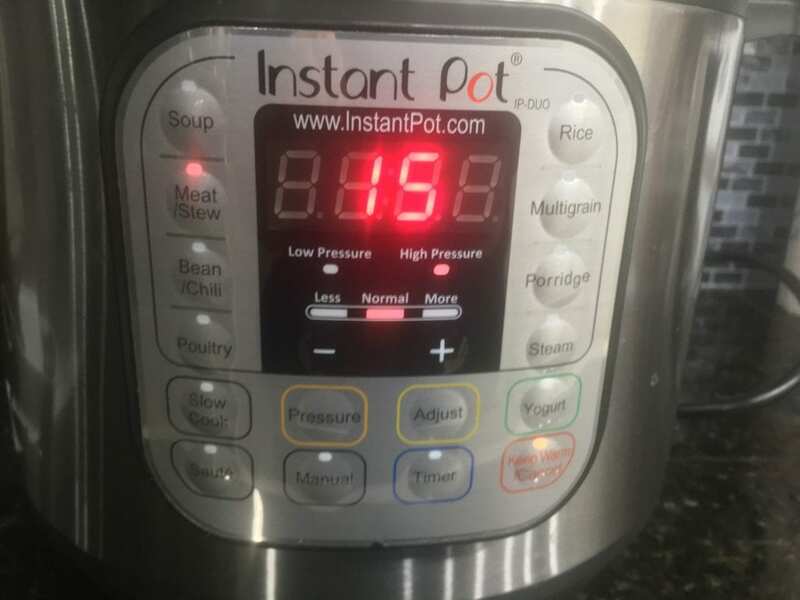 I have had my Instant Pot for just over a year now and while I still don’t claim to know it like the back of my hand, I have found it to be a convenient kitchen appliance to have. 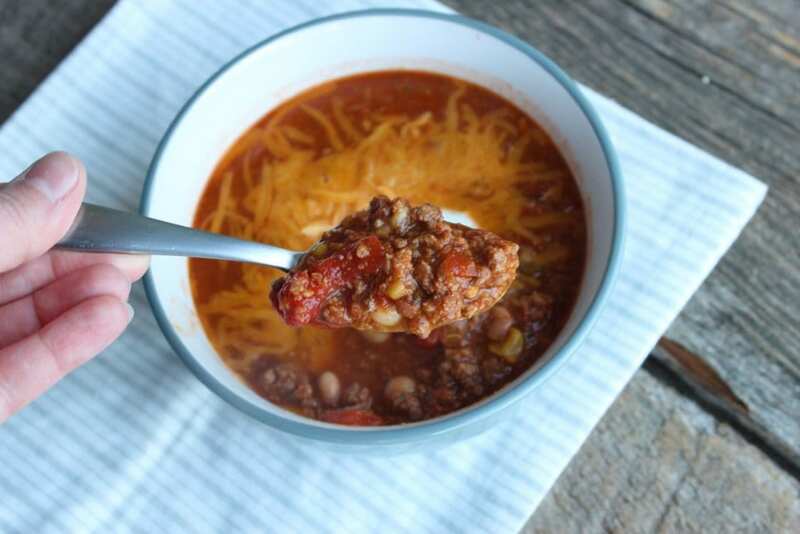 This Instant Pot Santa Fe Chili has been my favorite meal to make in it so far and it’s also the easiest meal I’ve made in it to date! 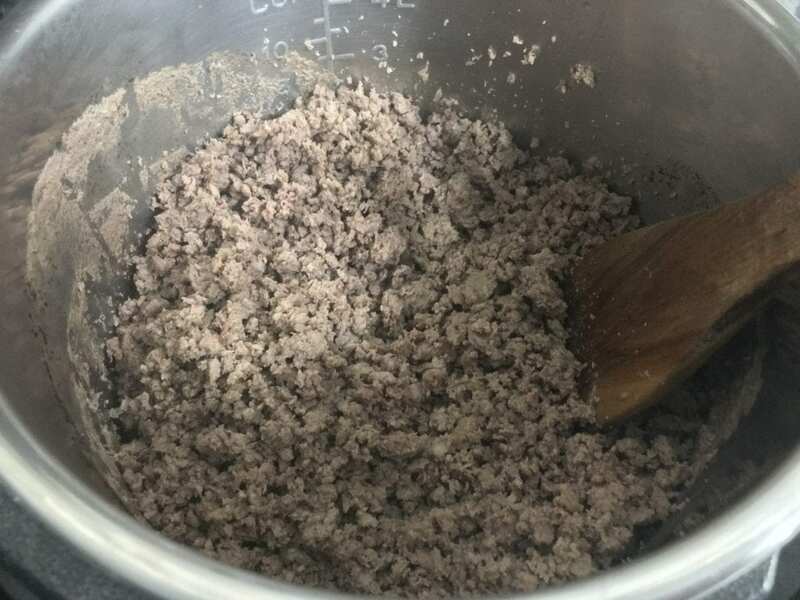 I used 2.5 lbs of ground deer burger for my Instant Pot Santa Fe Chili but if you don’t have any venison, you can always use ground turkey or the leanest ground beef available. 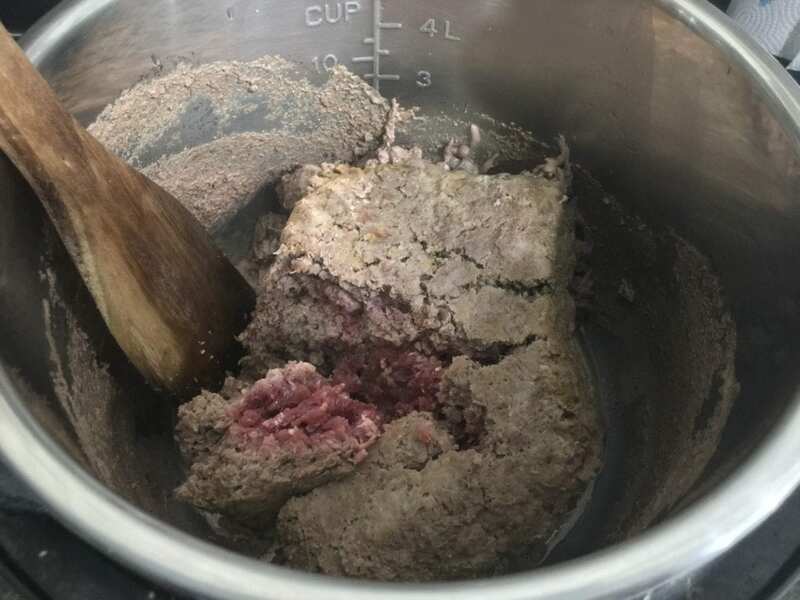 Place your ground meat into the Instant Pot (I’m using a 6 quart). My meat was partially thawed but mostly frozen solid in the middle. Go ahead and add in 1 cup of water. Your Instant Pot needs liquid (such as water) in order to come to pressure and this won’t affect the taste or texture of your meat at all. Lock the lid in place, set the steam release valve to the sealing position and select the meat/stew feature on the Instant Pot. 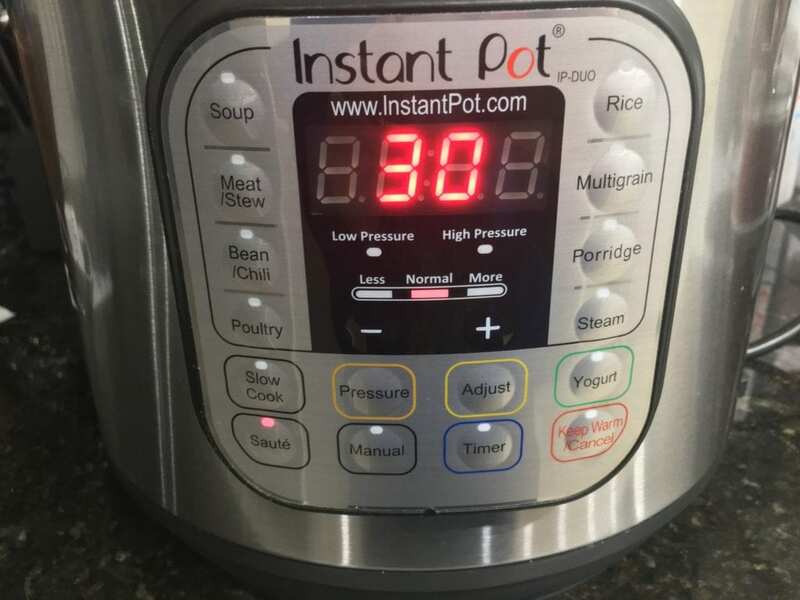 Now just sit back and let the Instant Pot do it’s thing! Once the cooking cycle has completed, quick release the steam by moving the steam release valve to the right. Be careful doing this, the steam will be hot and you don’t want it to touch your skin! After this cooking cycle, my meat was thawed but it wasn’t quite cooked through in the middle. 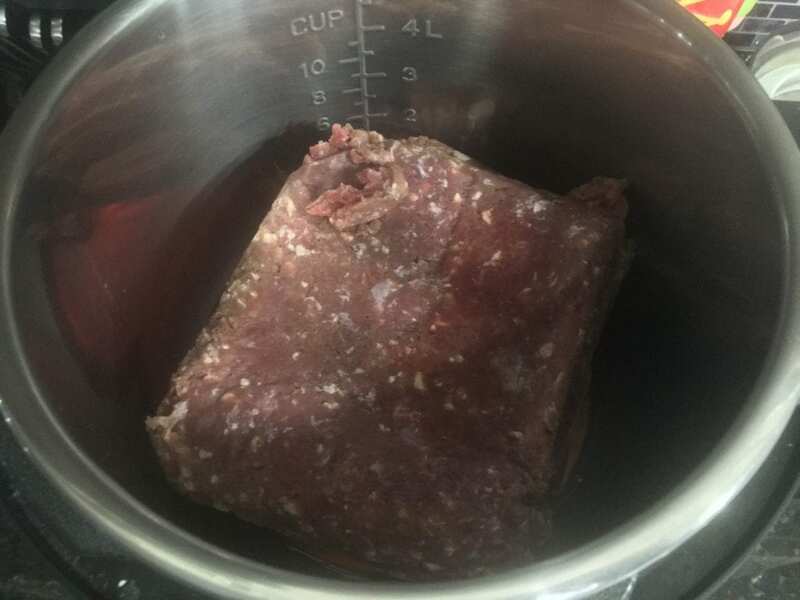 Drain the water and grease from the meat and then set the Instant Pot to the “saute” mode. You do not need to place the lid on. Use a wooden spatula or spoon to continually break up the meat and move it around the pot as it finishes cooking through. Once this is finished and your meat is in fine crumbles (this should only take about 2-3 minutes), press the “cancel” button and turn the saute mode off. Now that the meat is cooked, it’s time to add in the other ingredients! 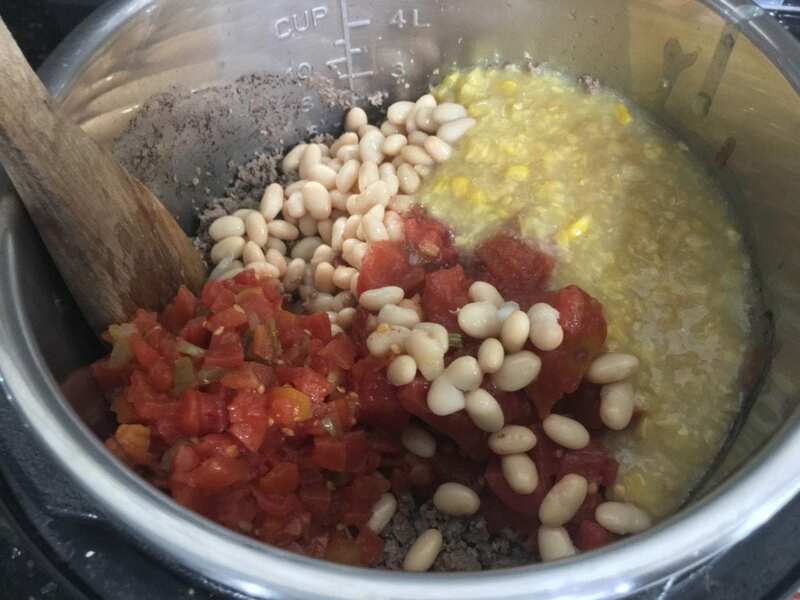 I did all of this at once so it’s a little hard to see what all I have in the pot but there is 10.5 oz creamed corn, 8oz diced tomatoes, 10.5oz mild diced tomatoes with green chilies, 10.5oz white northern beans, and 8oz chili beans. I drained and rinsed the white northern beans but put everything else in along with the juice it was packed in. Add in a 28oz can of tomato sauce and 4 cups of water. 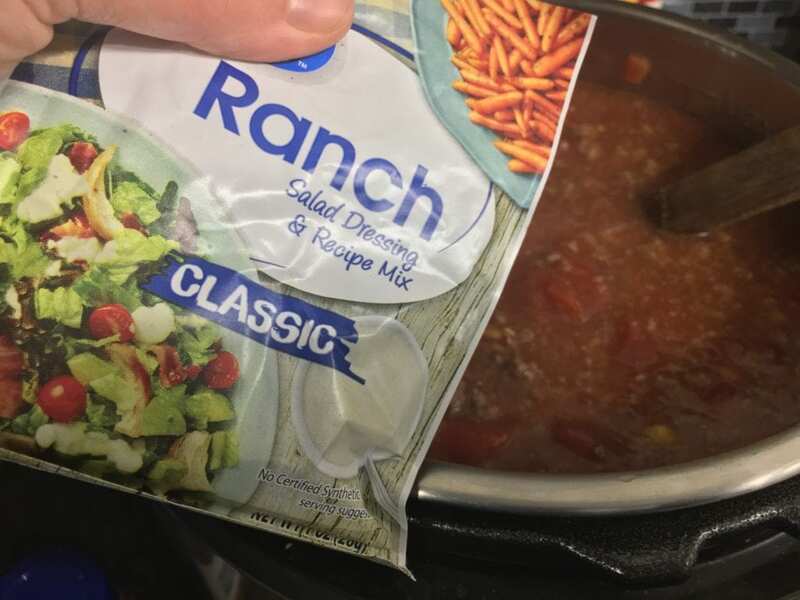 Give the Instant Pot Santa Fe Chili a good stir to combine the liquid with the other ingredients and then add in 1 packet of Ranch dressing mix. Now add in one packet of low sodium taco seasoning. 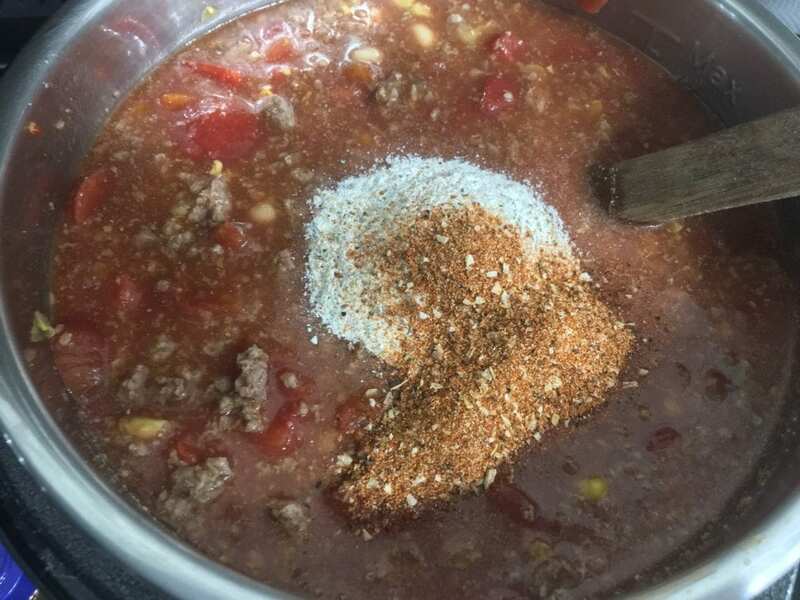 Stir the seasonings into the Instant Pot Santa Fe Chili until well combined and lock the lid onto the Instant Pot. Set the steam release valve to the sealing position and select “manual” “high pressure” for 3 minutes. 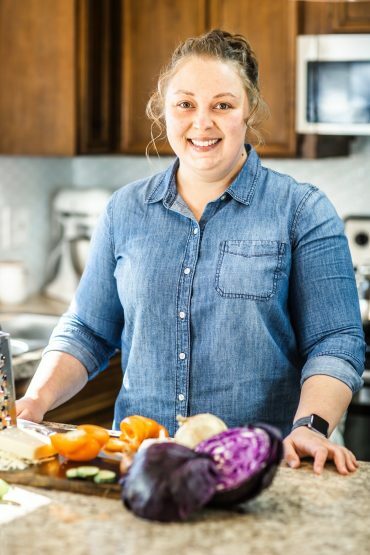 Once this cooking cycle has finished, quick release the pressure, remove the lid, stir once more, and serve hot with shredded fat free cheddar cheese, a dollop of plain, nonfat Greek yogurt, and some crushed corn chips! 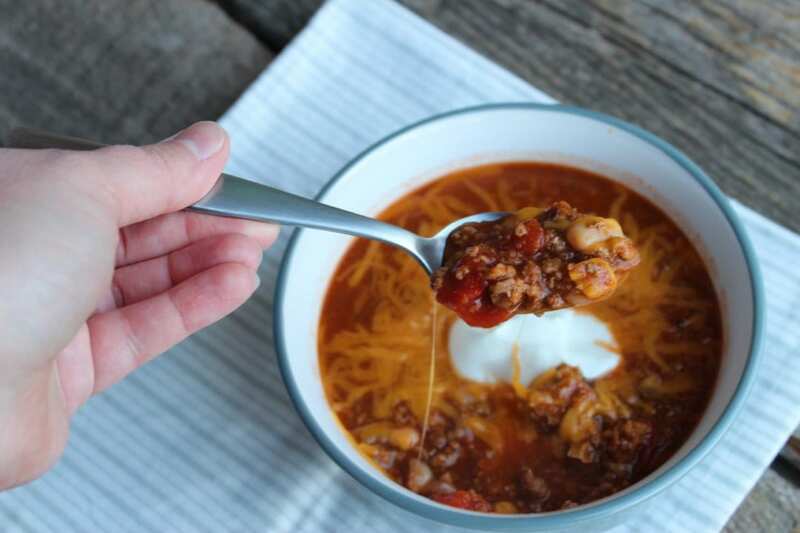 This Instant Pot Santa Fe Chili is one of our absolute favorites and now that I can make it in only 15 minutes in my Instant Pot, I love it even more! Happy pressure cooking my friends! 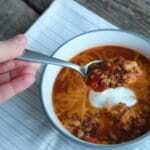 A delicious chili made in only 15 minutes in your electric pressure cooker! Place the metal trivet in the Instant Pot and then place the meat on top of the trivet. Pour in 1 cup of water. Lock the lid on, set the steam release valve to the sealing position and select the meat/stew feature. Once the cooking cycle has finished, quick release the steam and remove the lid. Drain the water and grease from the meat and select the saute feature. 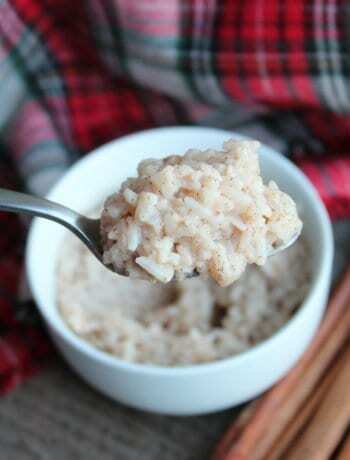 Use a wooden spoon or spatula to break the meat apart and into fine crumbles while cooking it on the saute feature. Once the meat is crumbled and cooked through, add in all other ingredients and stir well. 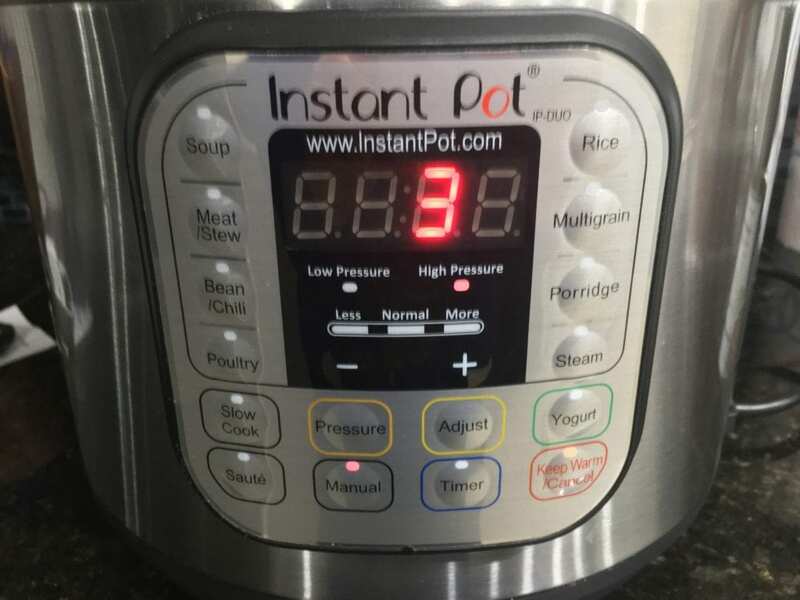 Place the lid on the Instant Pot, set the steam release valve to the sealing position and select "manual" "high pressure" for 3 minutes. Once the cooking cycle has finished, quick release the pressure, remove the lid, stir the chili well and serve. Cook the meat on the stove top and drain the grease. Place the meat along with all other ingredients into a 6 quart or larger slow cooker. 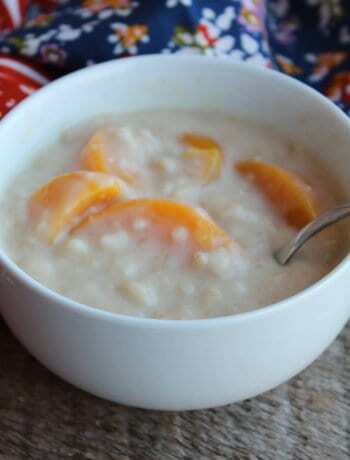 Place the lid on the slow cooker and cook for 3 hours on high or 5 hours on low. 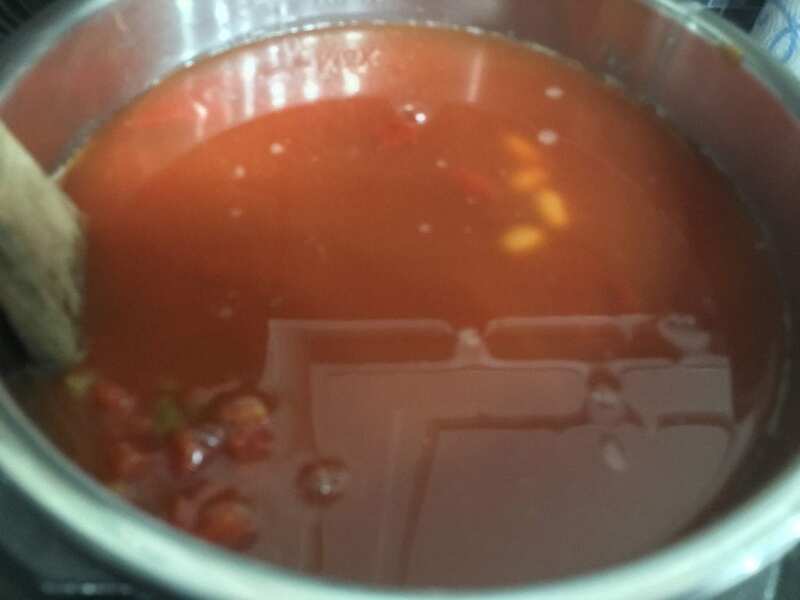 Place cooked and cooled chili in an airtight bowl with a lid and use painters tape to label the bowl with the name of the dish and the date it was cooked. When you are ready to eat the chili, set it out the night before to thaw or cook in the microwave for 3-4 minutes until just thawed, then pour into a sauce pan and heat on medium heat while stirring until warmed through. 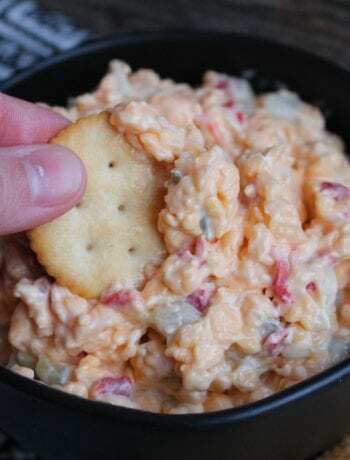 Recipe comes to 5 Freestyle Smart Points for each 1 cup serving. Yields 15 servings. In your recipe for Instant Pot Santa Fe Chili, the amount of meat stated under the first picture states 2.5 lbs, but when I printed out the recipe, it said 4.5 lbs. Which is the correct amount? I’m so sorry, that 4.5lbs is a typo that I have corrected! Thank you for pointing that out. The correct amount is 2.5lbs.